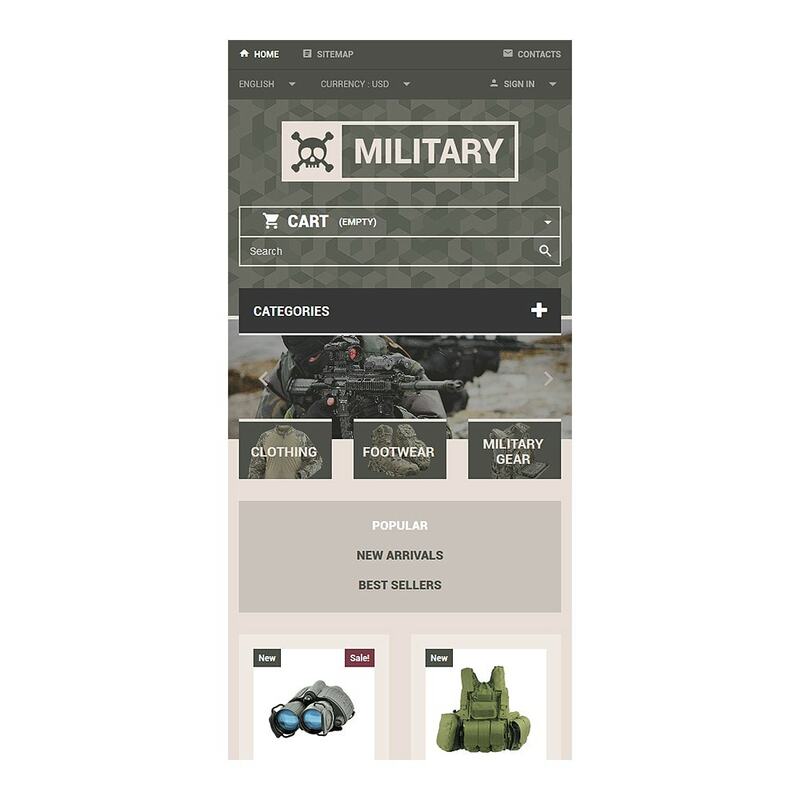 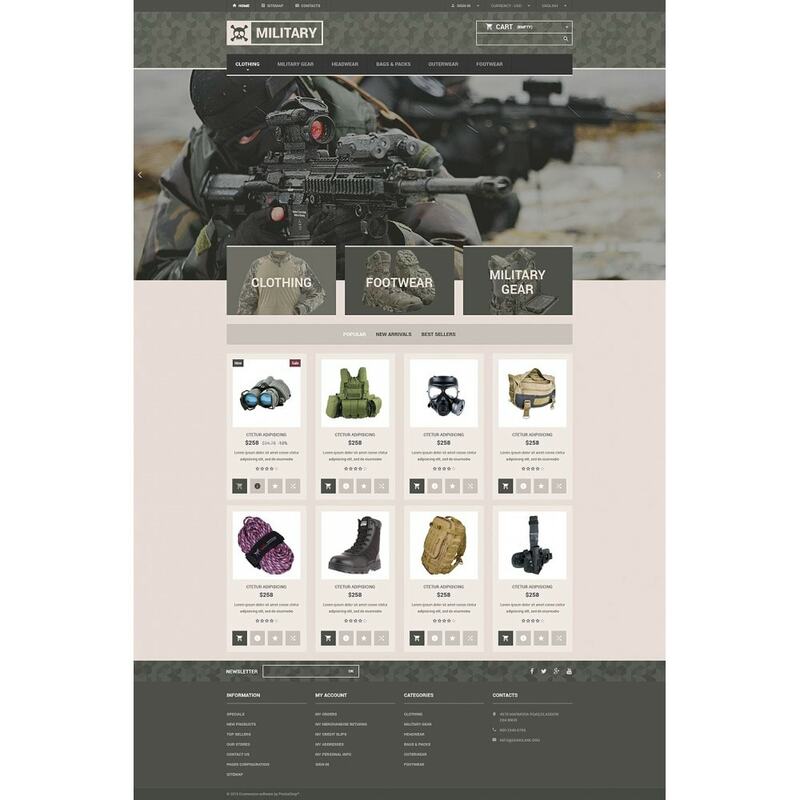 To set up a profitable online store that offers military gear, design your website with this Military PrestaShop Theme . 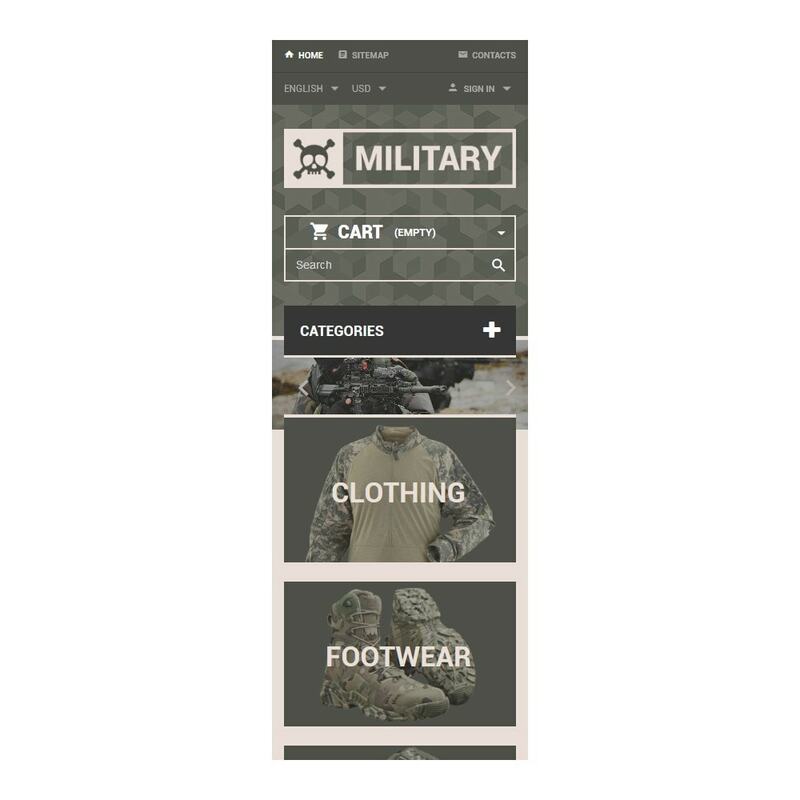 The color palette can be easily customized with the Theme Color Switcher . 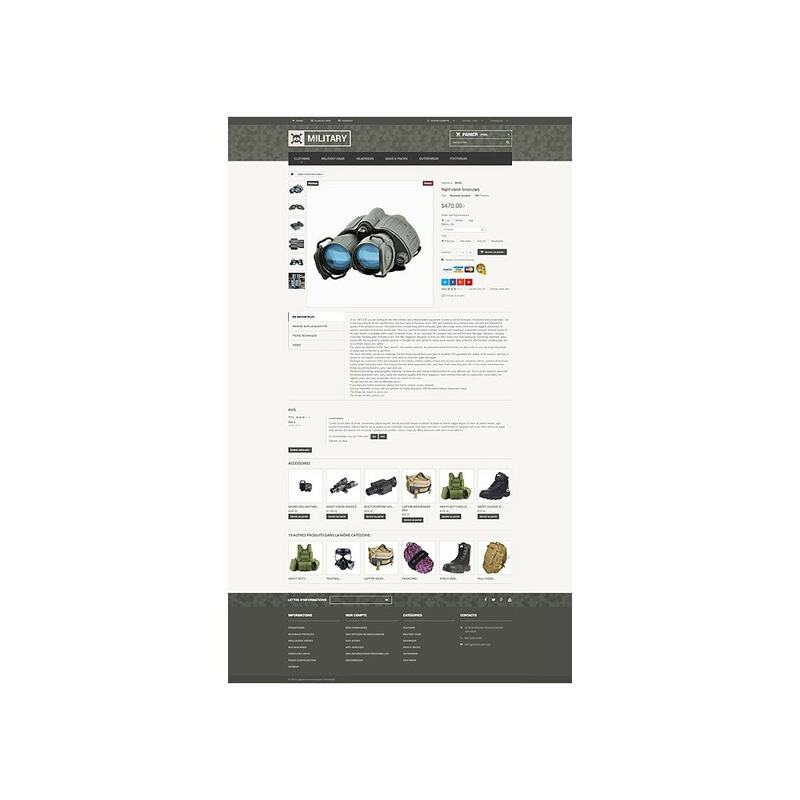 You can fill top slider with the images of equipment you sell to attract customers' attention. 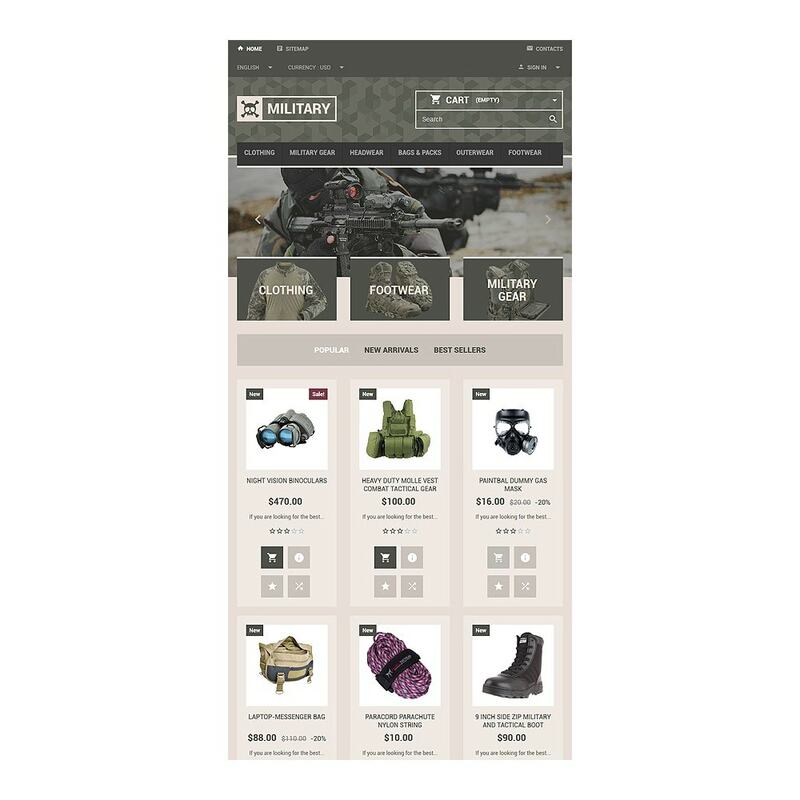 Products are arranged in 4 columns for a more convenient browsing. 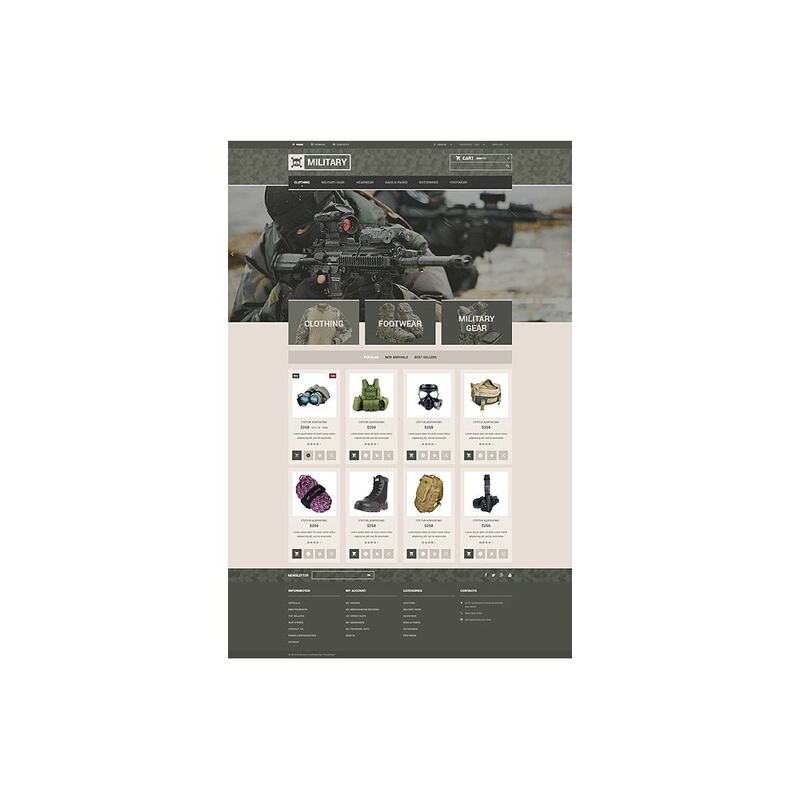 Moreover, switching between new arrivals, bestsellers and discounted stuff is a lot easier due to the tabs . Visitors will find the links to other pages of the website, your contacts and social buttons at the footer. 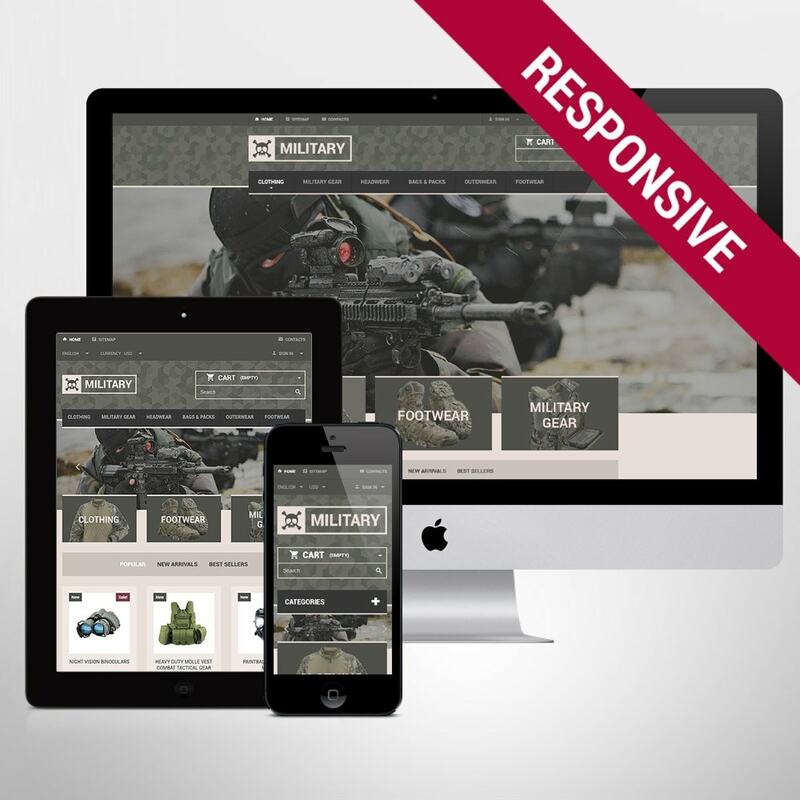 The theme was made fully responsive, SEO friendly and crossbrowser compatible to satisfy all the requirements of the modern web community. 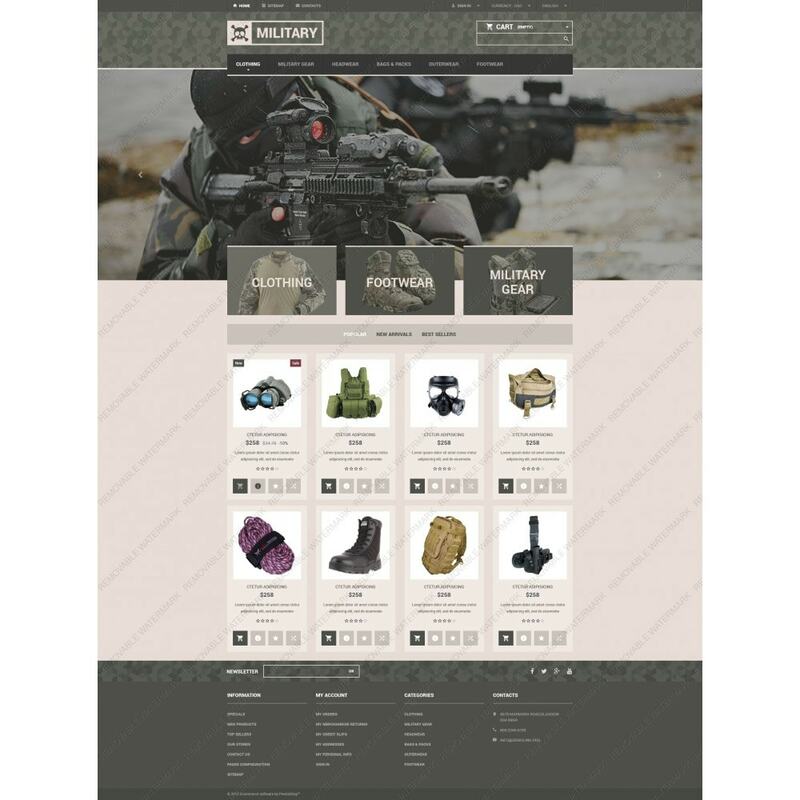 The theme is perfect for weapon, electronics, tools and equipment, security and sport online stores.